Teams that win the Triple Crown of Horseracing exhibit more than just technical skill and “head” smarts. They also possess a certain quality of “heart”. 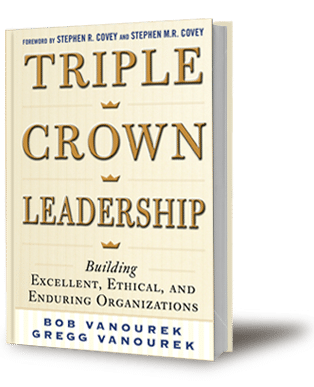 In honor of the possible Triple Crown victory at the Belmont Stakes this year—which would be the first such win in 36 years—we share an encore presentation of some of our prior reflections on the Triple Crown of Horseracing and the parallel value of head and heart in the pursuit of Triple Crown Leadership. Hats off to the teams that work (and win) with “head and heart”!